Free music services do not seem to survive on the net (at least not for long). I was very excited when the music service Ruckus debuted. For me it was a way for my college students to find and experience more music in a legal way. When it closed in February of this year I quickly pointed a number of my students to the online service –Spiral Frog. As of March 20th, Sprial Frog shut down its music servers. Ad-supported P2P audio sites such as Ruckus and Spiral Frogsimply couldn’t raise enough money through their clickable revenue sources model(s) to stay afloat. When you think about it, how many people actually look at the screen when they are listening to music anyway? One of the major issues with these types of free music services is that they give their best product away in a user-controllable fashion… i.e. -the user is able to play the songs they want -whenever they want AND mostly -wherever they want (save some DRM restrictions to mobile devices). This differs greatly from what sites like Pandora and others do by acting more like a radio station with regard to user-control. Literally, there is not much incentive for a user to”purchase” the music via other avenues since they already have full control over the product (the music). What about the audio quality? Well…today’s average listener, in my experience, is more worried about convenience and quantity versus higher-fidelity. Sadly, lower quality MP3s formats seem to be OK for much of today’s youth. Although the closing of these sites doesn’t come as a surprise or shock to me, it certainly come as a disappointment as there are now two less MAJOR legal avenues for people to find and listen to commercial music at little-to-no-cost. In addition, this also comes on the heals of Napstercanceling their college partnerships in 2008. Up until last summer, our college (and many others) had been able to partner with Napster to provide a discounted price for our students to have full access to the Napster service. This service was both convenient and provided our college with a measure of protection against the use of illegal P2P services that seem to pop up on today’s college campuses. So what’s left of the so-called free and legal based online music services? Qtrax is still trying the ad-supported mechanism and model but is currently in BETA and not accepting any new users. It will be interesting to see how and if they come out of the BETA process in the near future. TurnItUpMedia provides another legal venue that is also in BETA but boasts itself as a better “paradigm” than that of Spiral Frog and Ruckus. Although they also have a large number of ads littered across their site they also have a “forced” way of making sure that their users interact with their revenue providers by implementing a complex MEDIA POINT system (maybe it’s not all that complex). 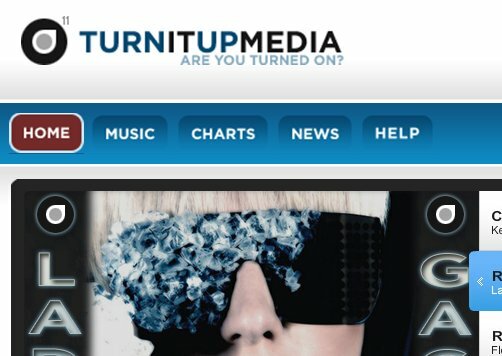 There are various ways to “earn” free music at TurnItUpMedia (kind of an oxymoron) including interacting with media spots and various ads and also forcing users to watch timed ads for “points”. This system, while somewhat obtrusive, may save them from the circumstances that led to their predecessors demise…time will tell. In addition to Qtrax and TurnItUpMedia, Imeem, Jamendo, Spotify, YouTube, and others all offer some form of online music (Indie, Commercial, Free, etc.) in one way or another and there are also a number of online RADIO sites like Pandora available to Internet music seekers (although these have and are being challenged as well). iTunes, Rhapsody, and Napster are still the top of the true “paid” music services and provide subscribers the least amount of DRM restrictions and obtrusive advertisements (if any). Perhaps in the near future someone or some company will develop a working model that will allow both the consumer and the producers (musicians, composers, etc.) to find a happy financial medium. One thing is for certain, there is no shortage of music available on the Internet, whether public domain, creative commons, or commercially licensed. Despite the ever-changing evolution of the online music landscape the amount of free music available to us has never been greater or easier to access.